This is my favourite knife ever! 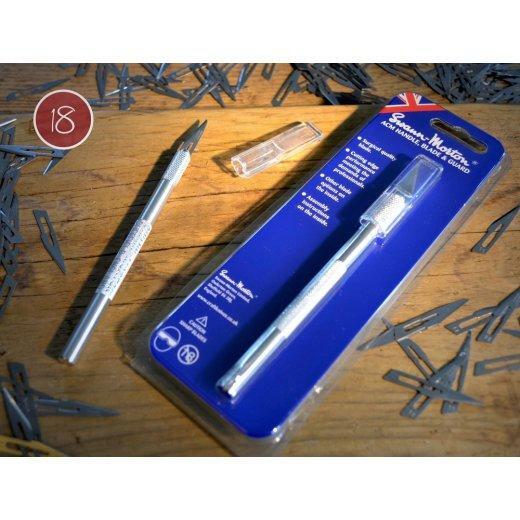 It's so comfy to use for long periods of cutting and is easy to change the blades! Fiskars products are renowned worldwide for their functionality and cutting-edge design, and the group boasts a strong portfolio of tools specifically for craft. Complete control at your fingertips. 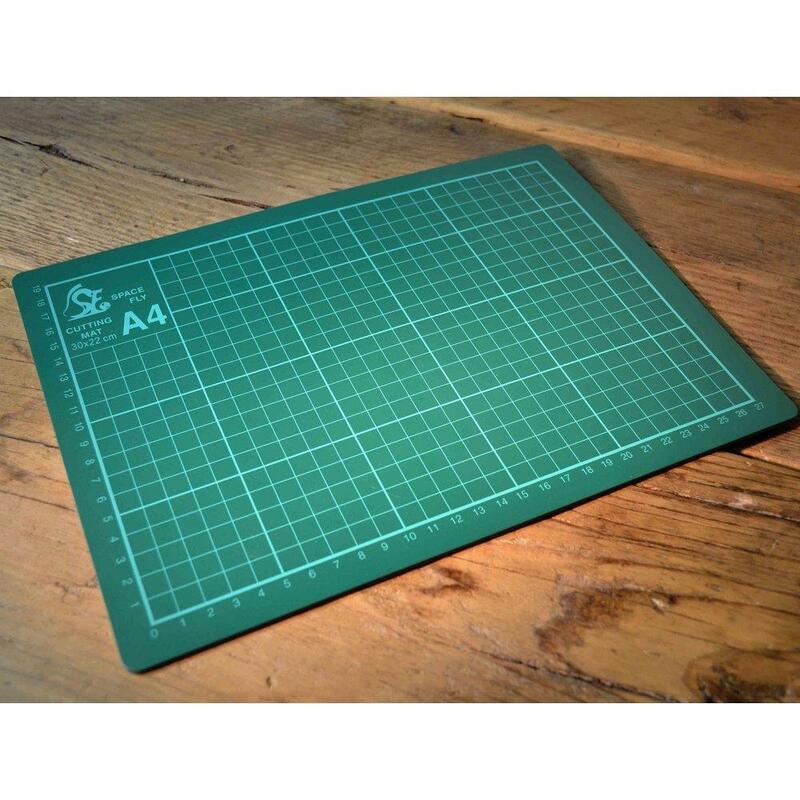 Designed for heavy duty cutting of paper and other light materials. Complete with one razor sharp blade, plus with cover for safety and easy storage. 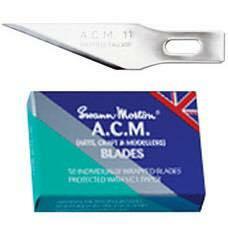 Please note, we do not stock additional blades however they are readily available online or in craft shops. ** SAFETY FIRST, PLEASE READ: This is a VERY sharp blade. 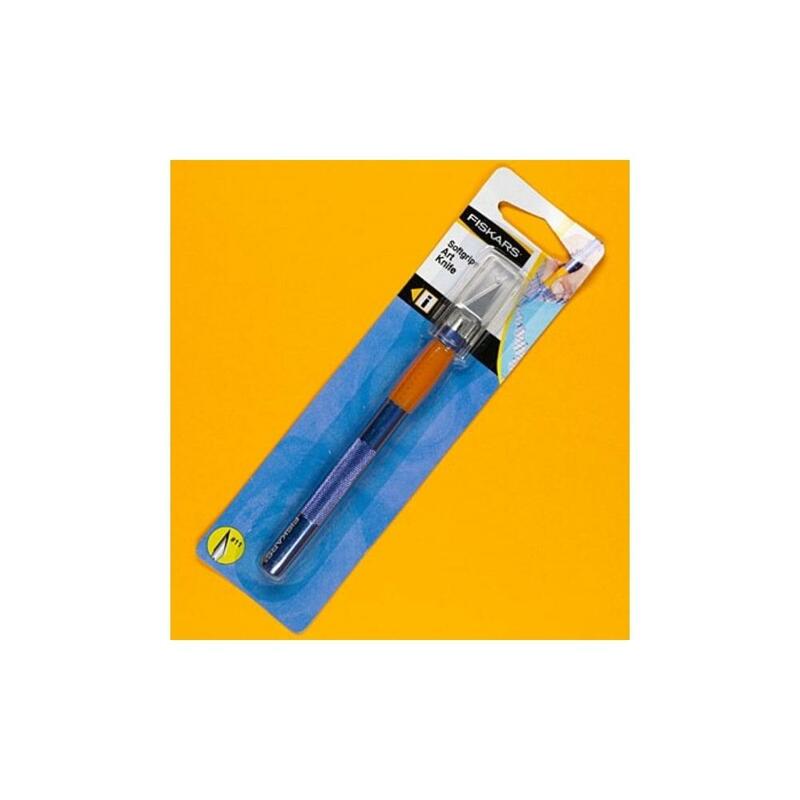 This is more accurate to cut paper than a regular craft knife and it’s what I use personally but a regular craft knife can be used instead if you are wary of using such a sharp implement. Don’t touch them. They WILL cut you very easily so please be careful and use forceps or similar tool when changing the blade. As always keep out of reach of children, pets and store safely. Always respect your blade. You can dispose of them using a sharps box from your local chemist or your doctor can dispose of them for your safety.